These days it can feel as if we are inundated with online information about skiing. There are online ski shops, resorts with a hugely detailed online presence and many blogs claiming to offer top tips for skiers. Indeed, at times it can almost feel like there are too many websites to sift through when you’re looking for information or advice. This is why we were very excited to discover Loveski.com, the new kid on the scene when it comes to ski websites, which offers a one-stop shop for detailed resort information and inspiration, tips, competitions, reviews and entertaining videos (Eddie the Eagle, we’re looking at you…). Forget heading to a different site to research each element of your ski holiday – Loveski.com provides an incredibly easy-to-navigate database of knowledge to inform and enhance your experiences this winter. Their resort information is highly detailed, showcasing many resorts you may not have previously considered and showing you a whole new side to others. There is so much variety when it comes to ski resorts that it can be slightly overwhelming trying to simply pick a destination out of the hundreds on offer. This is why Loveski.com’s “Helping You Ski / Where / When” sections are such fantastic resources. For anyone who may be heading on their first ski holiday or those simply looking for a new destination for their next trip, Loveski.com allows you the opportunity to find your perfect resort by location, budget, group type, ski area or après atmosphere! You can even win the opportunity to experience some of these beautiful resorts – Loveski.com have recently launched a competition to give away a trip to La Clusaz, one of the most gorgeous ski areas in France. However, Loveski.com is not just about inspiring you to find your ideal resort, it’s also about ensuring you are as prepared as possible to have the best time on the slopes. Whether this is through advice pieces such as “How to maximise your time”, their reviews of the best ski tech on offer this season or their bite-sized skiing videos for beginners and intermediates alike, here you can find a whole host of helpful information. When it comes to websites, we often find that the most useful online platforms are those that are easy to read, simply navigated and packed with content. Loveski.com delivers just this and with static content refreshed each season, you won’t find yourself lost in a plethora of constantly changing posts, trying to find your way back to something you saw a few days before. This results in a clear, concise database of highly useful information, negating the need for all those different sites and open tabs! 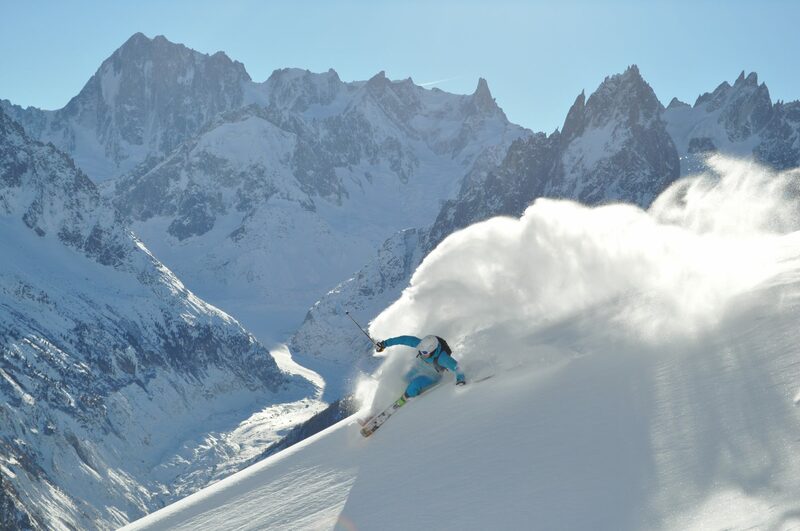 Loveski.com will truly leave you inspired, excited and prepared to ski more this winter. Head to loveski.com to start exploring!